Are you hooked to this years Talisker Whisky Atlantic Challenge? Who knew dot watching could be so addictive!!??? We explain exactly what a Yellow Brick is and what each item in the Yellow Brick app means. WHAT IS A YELLOW BRICK? Each ocean rowing boat in the Talisker Whisky Atlantic Challenge and most independent rowing challenges have a Yellow Brick YB3 attached to their boat. The small device the size of a walkie talkie, is a waterproof, drop proof tracking device that automatically sends the boat's position from anywhere on Earth. The Yellow Brick uses the Iridium Satellite network which is the only satellite network that allows transmission of information from any point on Earth! With 66 satellites orbiting the Earth, the network works far beyond the reach of WiFi and GSM networks. This genius device has a battery life of around 2500 transmissions. 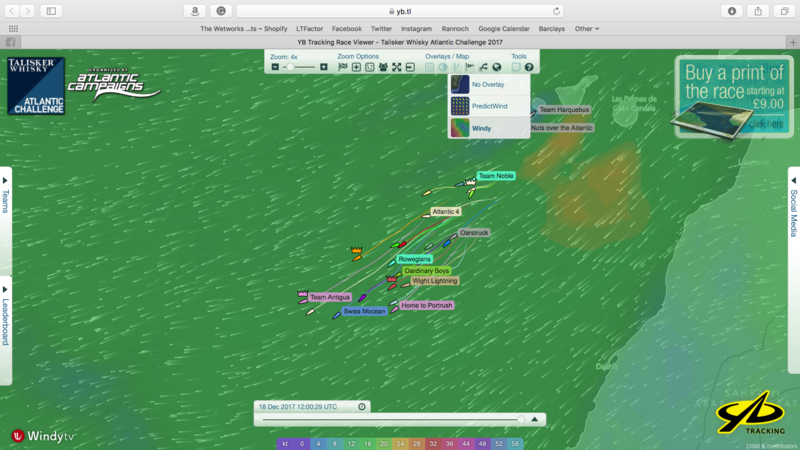 To put that into perspective, the Yellow Brick trackers in the Talisker Race transmit every 4 hours. Over a 60 day period, that only uses 15% of it's battery. There is some other techie stuff involved but it's not necessary to know unless you're wanting to row an ocean. In which case, get in touch, info@rannochadventure.com. During the first space, the Yellow Brick trackers are set to transmit every 1 hour. During the first and second yellow line, they will transmit every 2 hours and after the second yellow line, they will transit every 4 hours. That's the most direct route from start to finish. This does not always mean it's the best route. You can turn the red line of in the 'Overlays' tab at the bottom. Located at the bottom of the map. This lets you go back in time to watch how the boats have moved. If you haven't tried this already, give it a go, it's fascinating! You can turn the course (red line) on or off. You can also turn the wind overlay on or off. The wind overllay to see the wind speed and direction. This will give you an indication of why some boats are going faster than others and why some are taking different routes. Each team is listed in alphabetical order. 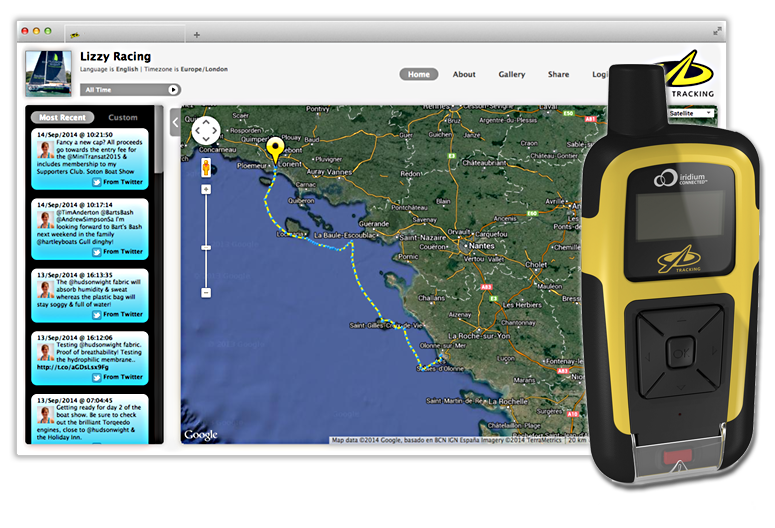 Clicking the team name gives details such as the location of the boat, speed and direction and position in the race (at last transmission). The coloured circle icon next to the team name locates the team on the map. Rowed - Number of mies rowed. Note: a team may have rowed more miles than another team, but they may be further away from the finish meaning they are in a lower position in the race. VMG - Velocity made good. In laymans terms, this means the optimum velocity in the direction of your destination. This shows who's talking about the app and what they are saying on social media. If you thought the app on your phone was addictive, then try the computer version. To view, visit the Talisker Whisky Atlantic Challenge website. 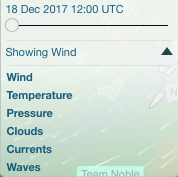 On here you can view the wind, temperature, pressure, clouds, currents and waves as it's happening. This will make it clear why some boats are moving faster than others, while some afre facing the wrong way and going in circles. 1. Click the 'Toggle wind data' tab under 'Overlays / Map' - the one that looks like a flag. 3. Click the down arrow to select what you would like to see. 4. You can move the slider at the top to see the factors up to 10 days in the future. You can use the ruler tool to measure the diatance between teams. Click 2 points on the map to display the number of miles (as the crow flies) between the 2 points. You can reveal and hide side menu on the map by clicking the arrows. You can even set up an automatic slideshow to show how the boats moved since the start. You can also change the speed at which it plays. If TV ever gets boring, definitely do this! There are many more options to view in the computer version. We recommend having a look around, clicking a few things and see what happens. We hope you have enjoyed our guide to the Yellow Brick app. At Rannoch Adventure we offer professional weather routing and tactical race strategies to ocean rowers taking part in races and independent crossings. Our team have over 18,000 nautical miles experience in ocean rowing alone and hold numerous world records. Please get in touch to find out more information: info@rannochadventure.com or 01621 7821276.